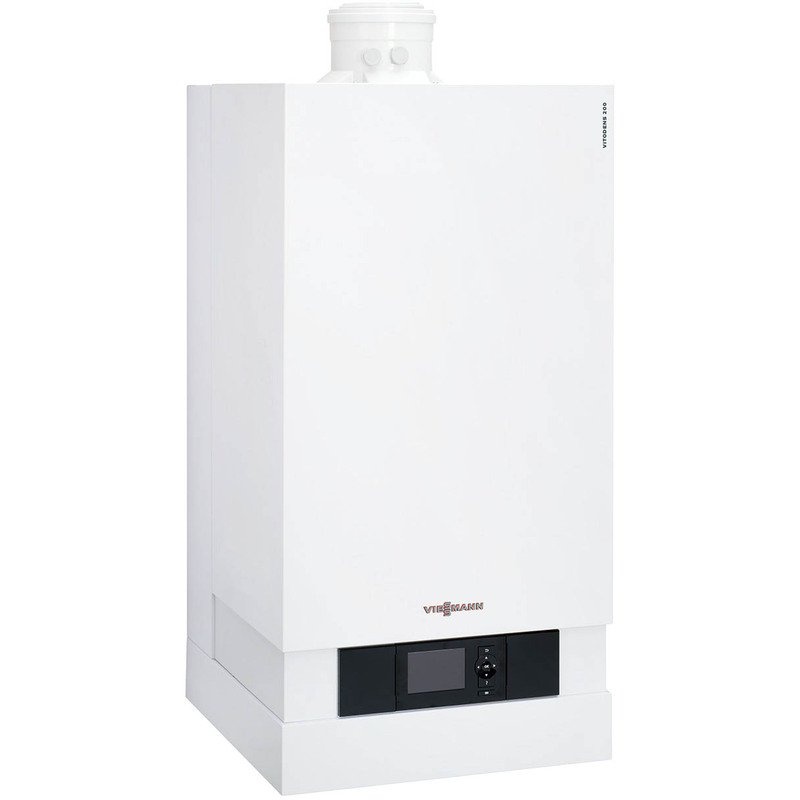 With its outstanding design and price/performance ratio, the Vitodens 100-W is the perfect mix of performance and value. 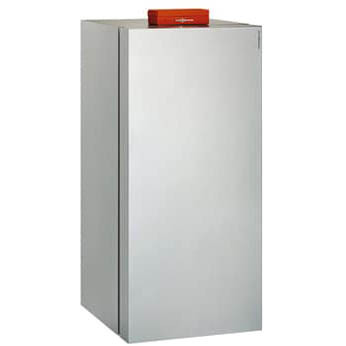 Its compact design, zero clearance to combustibles and extremely quiet operation make the Vitodens 100-W an ideal choice even in the smallest spaces. Plus, with a limited residential lifetime warranty, you can be sure your investment will deliver long-lasting, value year after year. 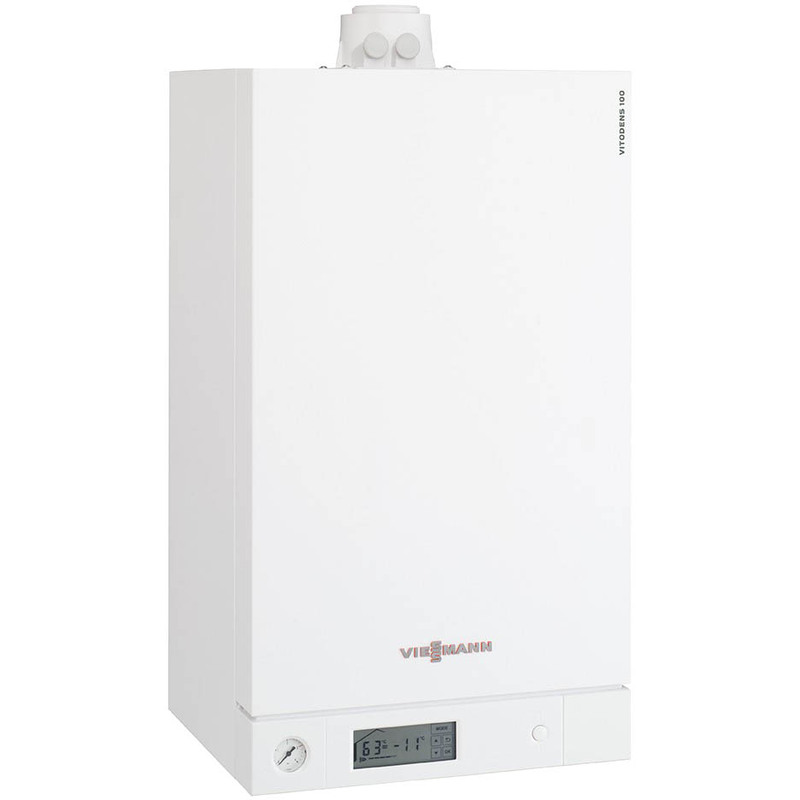 The intuitive Viessmann-made Vitotronic 200, HO1B control manages the entire heating system and ensures economical performance and maximum comfort at all times. The user-friendly, menu-driven control is capable of displaying multi-line text and graphics on a backlit display. The high-contrast, monochrome display offers excellent readability under poor lighting conditions. The outdoor reset function automatically adapts the boiler operating temperature to the changing outdoor temperature. This reduces fuel consumption up to 15%, giving you excellent returns year after year on a modest initial investment. With its combination of high temperature capability, high mass (water volume), floor standing design, condensing stainless steel construction and modulating gas burner, the Vitocrossal 300, CU3A is the ideal choice for boiler retrofits or new construction. From homes equipped with high mass cast iron radiators, to homes with multi-zone high temperature fin tube radiators, and new installations with high DHW requirements – the Vitocrossal 300, CU3A is the best choice on the market today.